This got my girls special free pics with the actor! 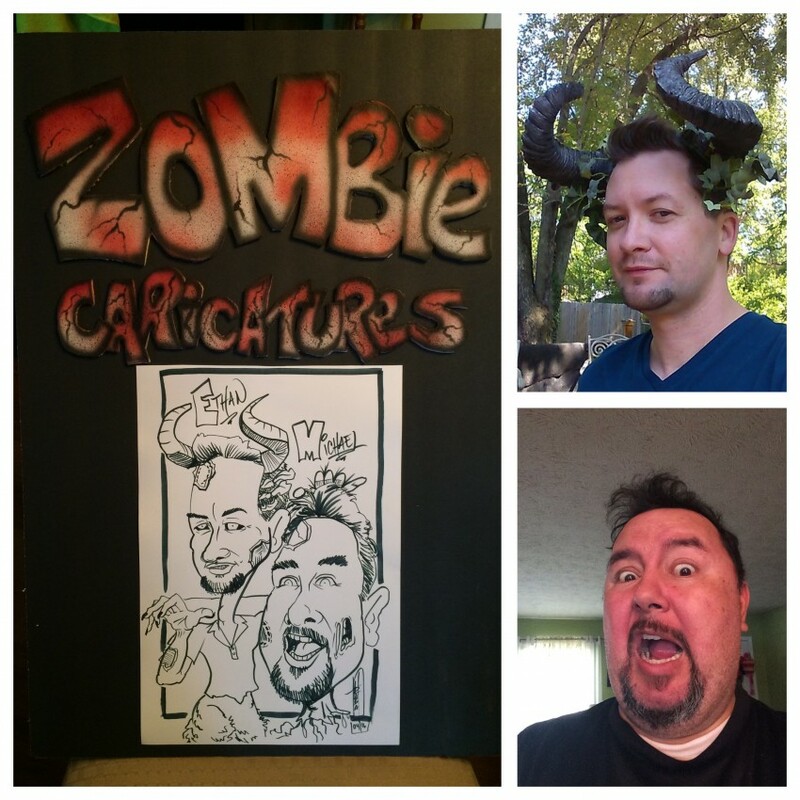 My caricatures are great for All occasions! Company functions, First Birthdays or Luaus, Graduation, Wedding Receptions, Festivals, Sponsored events, Project Grad, Class Reunions and more. Your friends, family and/or associates will join in the laughter as they watch their peers and family members get drawn as a caricature. 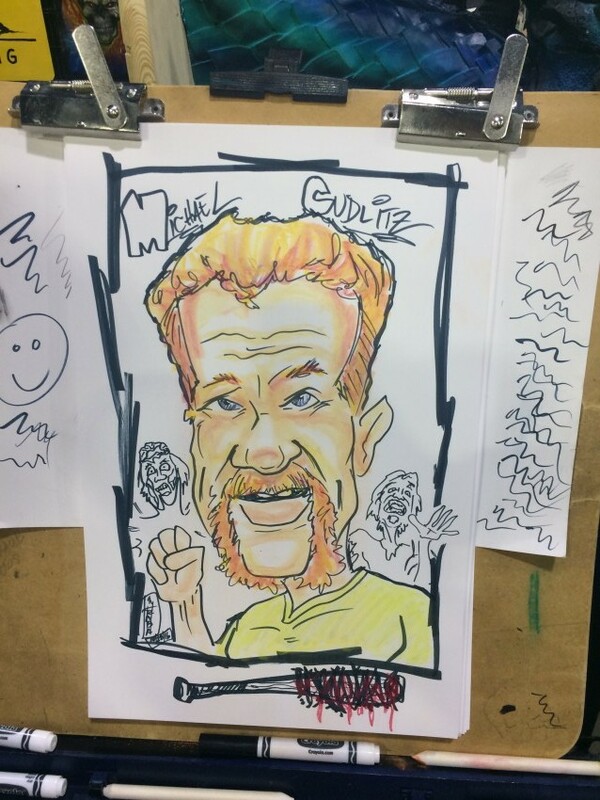 Everyone who receives a caricature walks away with a smile and something to cherish and share with others for years to come. Not like other novelties that tend to wash off or "pop" after the party is over! 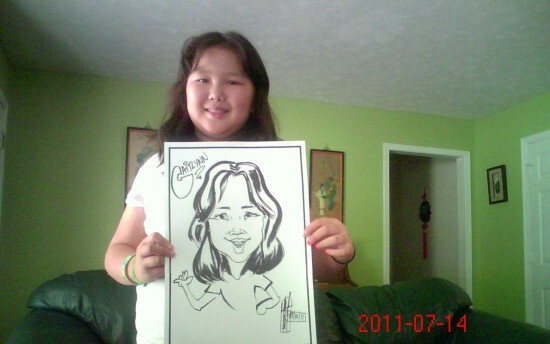 Whatever the occasion, caricatures will surely liven your event or party. Always a winner- always a crowd pleaser. Michael was great! We had him do caricatures for our wedding and it was the perfect activity for our guests. He was extremely responsive and punctual. HI Amy. Thank you very much for having me. I'm glad I was able to make your wedding reception memorable and entertaining and again, congratulations! Great artist, very friendly and fun! We loved him!! Great with the kids. Hope he can come back next year. Best decision to hire him. Thank you Kimberly. The pleasure was all mine. We enjoyed the experience. Everyone was pleased. Micheal was a professional. Michael arrived early and was very friendly to all guests. All of the kids and adults loved watching him draw and the pictures turned out great! You can expect your friends to laugh at what was created and say "That is so totally you!" and hopefully, " Where's this guy? 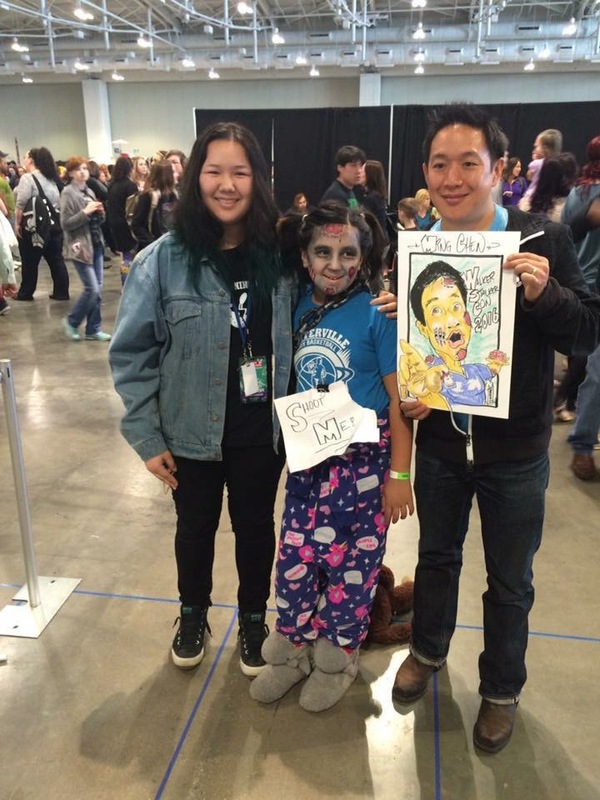 I want one'"
I will draw a black and white caricature of you onto an 11x17 card stock paper. Give you a rubber band to roll your art piece and place it in a clear plastic tube to protect it from dirty hands and/or the elements. I have been a full time artist since 9/11. I want it FAST, FUN, and FRIENDLY! I wanna be entertained while I'm waiting. So that's what I do. I'm gonna make you laugh, crack a smile, even chortle! Because, at the end of the day, I want you to say, man that Michael was cray-cray and THAT WAS FUN! Dude, Michael was FAST! Michael was one of the FRIENDLIEST artists I've met! When drawing caricatures, the most popular one involves using a black marker drawn on 11x17 in. card stock paper. I also draw/paint digitally for a more custom look-up mostly as gift caricatures and corporate events-in which I'll have a display monitor, my drawing iPad, and a printer that will conveniently fit into a clear case pouch with lanyard - which I can provide if needed. Tom Richmond, Sebastian Kruger, Mort Drucker, Mahesh Nambiar, Paul Moyse... Just to name a few. Just need a few chairs, good lighting and protection from the elements from the outdoors.